1.1 Get a ready-made solution. 1.2 Build a bot from scratch. 1.3 Use a chatbot platform. Chatbot is a tool that stimulates conversations and allows the users to interact endlessly with a non-human user. Chatbots are very much in use these days. They are mostly used in eCommerce business which don’t find it feasible enough to deploy customer service agents to carry out their customer service operations. With the help of chatbots, you can easily serve your customers 24*7, solve all their queries and successfully generate leads. When it comes to speed and efficiency, chatbots simply outperform humans. Chatbots are useful in gathering the information of users by prompting them to fill in their details. They are also used for communicating various offers and discounts available. More often than not, they prompt users to make payments. For all intents and purposes, a chatbot can act as a restaurant, a retail store, as your boyfriend or girlfriend, as a gift shop etc. depending upon the purpose for which it was built. They are used on a number of user friendly platforms such as Google Assistant, Facebook Messenger, WeChat for web etc. Chatbots have revolutionsed the ways a business interacts with its customers. Some examples of famous retail chatbots are Sephorabot, Pizza hut bot, H&M’s Kik chatbot, Tacobell’s Tacobot. This essentially brings us to this question- How to build a chatbot? Having been acquainted with what a chatbot is and its associated benefits, you must now be wondering how to build one. It is no rocket science to build a chatbot. You must be clear about your requirements and diligently choose from a multitude of options available in the market. There need not be a science intellect to build a chatbot. You can build a high end chatbot without the knowledge or expertize of coding too. However, to build an advanced AI based chatbot, it is recommended to take the assistance of experts and get your profits booming in no time. Go for a ready made solution if you feel reluctant to invest money on a chatbot. For example, there are ready made options available on large messenger apps such as Telegram or Kik, wherein you can choose a chatbot that suits your requirements and business goals from the list of available options. Turnkey platforms have their own chatbot markets that you can explore. Build a bot from scratch. If you want to build your own chatbot from scratch, it might burn a hole in your pocket. A conscious entrepreneur should keep in mind all the expenses involved. 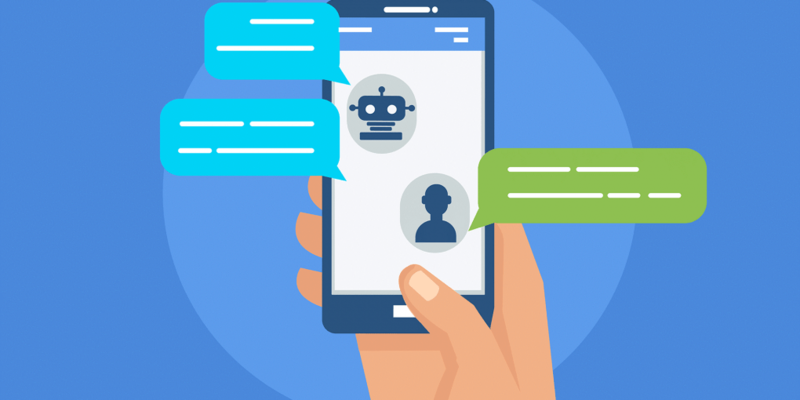 No doubt, the resulted chatbot will be perfectly tailored as per your requirements but you need an expert team and their services to build and run your chatbot. There are several platforms available that give you dual advantage of high audience and chatbot creation options. Since the platforms are used by a large number of people, finding audience for your chatbot is a lot easier. A chatbot platform allows you to create a chatbot even if you have no coding knowledge. 1) AI : It is one of the most powerful tools available . If you wish to create a conversational messenger bot, this tool stands second to none. The best thing about this tool is a small procedure which includes just three simple steps to build a bot.This involves creating an agent, providing textual examples and resting in a corner while API.ai does the training work. All you need to do after it is created is to connect the bot and launch it. 2) Chat fuel: If you are looking to build a chatbot on social networking sites such as Facebook or Telegram, then this is one of the best bot platforms for you. Prior knowledge of coding isn’t required. It guides the user in the friendliest way throughout his process of building a chatbot using chat fuel. It is very easy to make your own personalized chatbot using chat fuel in no time. You can edit responses, put or modify the content very easily and quickly using simple steps. 4) Botsify: It is a chatbot designing tool that can be used in tandem with social media platforms such as Facebook. To begin with, you only need to visit their official website, setup a web hook after integrating your Facebook account, write the commands you want your chatbot to carry and let the chatbot do the rest for you. Facebook Messenger has a lot of advanced bot creation options. You can create a chatbot using official page of Facebook. You need to set up some tools before you can start creating your own bot. A refer guide is available for creating chatbot on Facebook. Whether you want a personalized bot with advanced features and go for paid options or utilize the free tools available or opt for readymade options, it just doesn’t make a lot of difference. Thanks to chatbots, your online retail business is going to have far-reaching audience. Now that you know about how to create your own ecommerce chatbot, pull up your socks and get one as soon as possible and witness the difference in your online retail store business.